Have I ever mentioned that my dad is pretty awesome? My dad is seriously awesome and amazing. 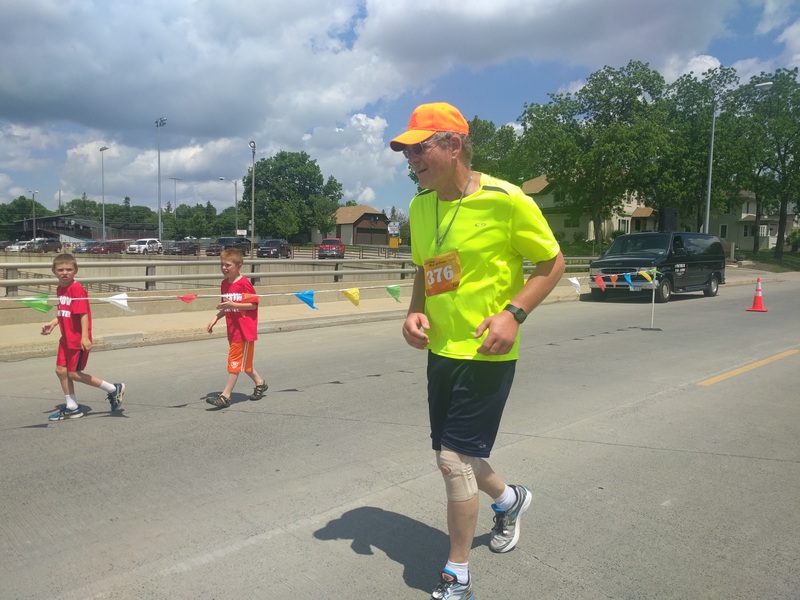 About a week ago, he completed his first-ever marathon at the Med City Marathon in Rochester, Minn. My sisters and I (who all ran cross country in high school) and the grandchildren were on hand to cheer and run with him. PICTURED HERE: Dad approaches the first exchange zone (where team relays switch out members) around the 6-mile marker. 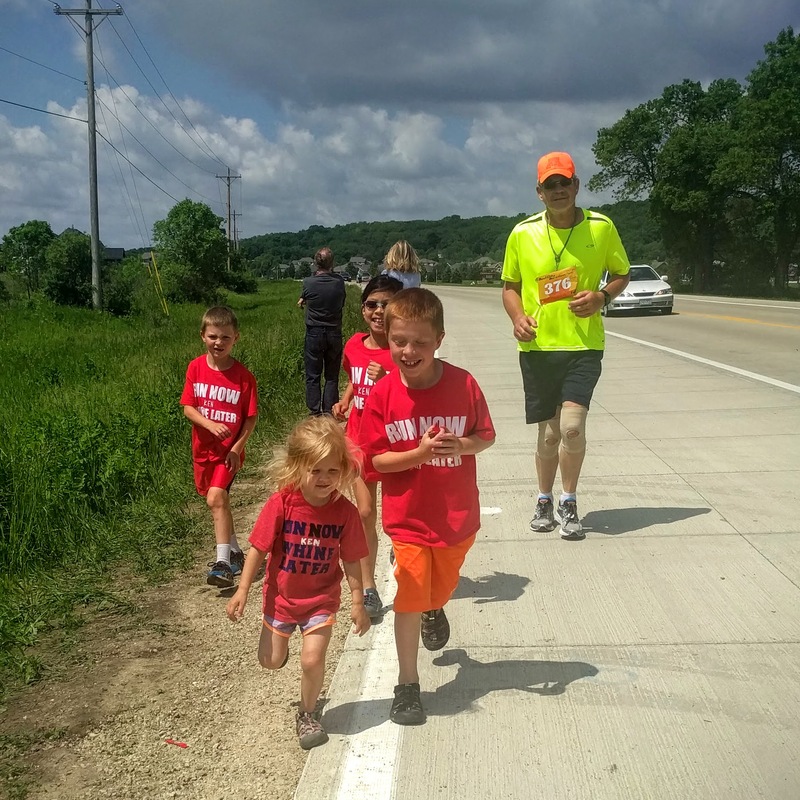 PICTURED HERE: The grandkids happily run with him toward the second exchange around the 13-mile marker. With a little more notice this year, my sisters and I designed a T-shirt showing support. RUN NOW KEN WHINE LATER. Clever, huh? However, I favored the first design draft — RUN NOW WINE LATER — and created two T-shirts for me and Charlie (who also preferred the first draft). 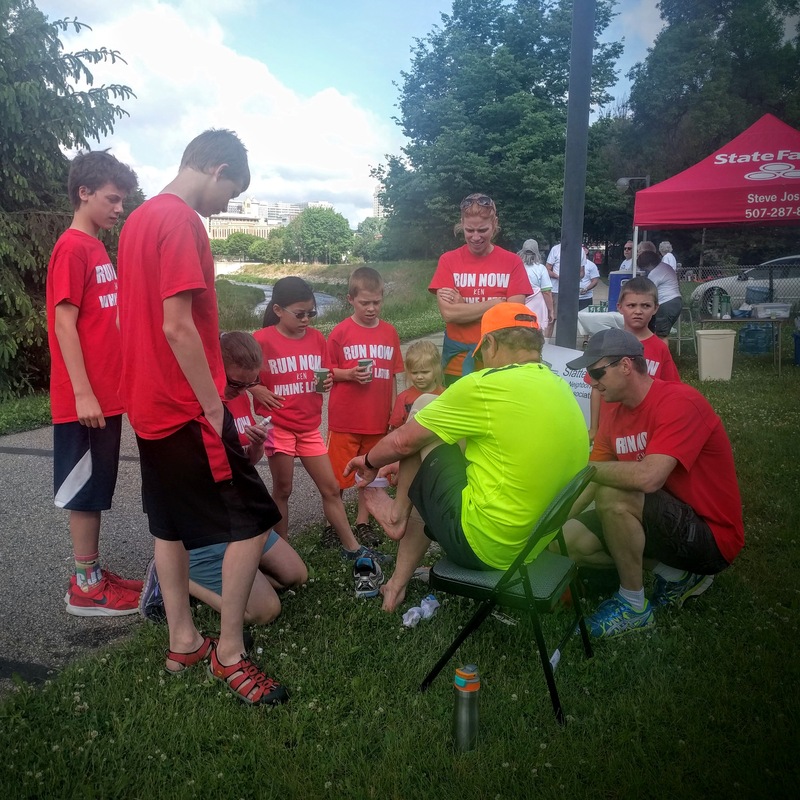 PICTURED HERE: Dad’s support crew surrounds him at the second exchange zone, making sure he’s feeling OK and offering cups of Gatorade and water. The red T-shirts definitely came in handy whenever the support crew separated and needed to find each other. 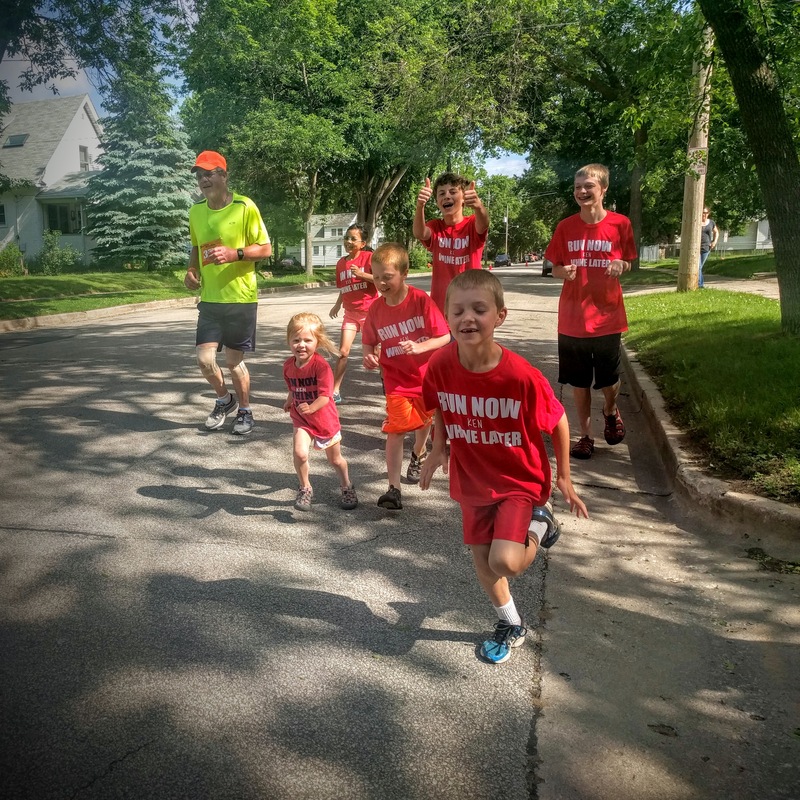 The kids were great and became super excited whenever they saw Dad running and joined him for a block or two. 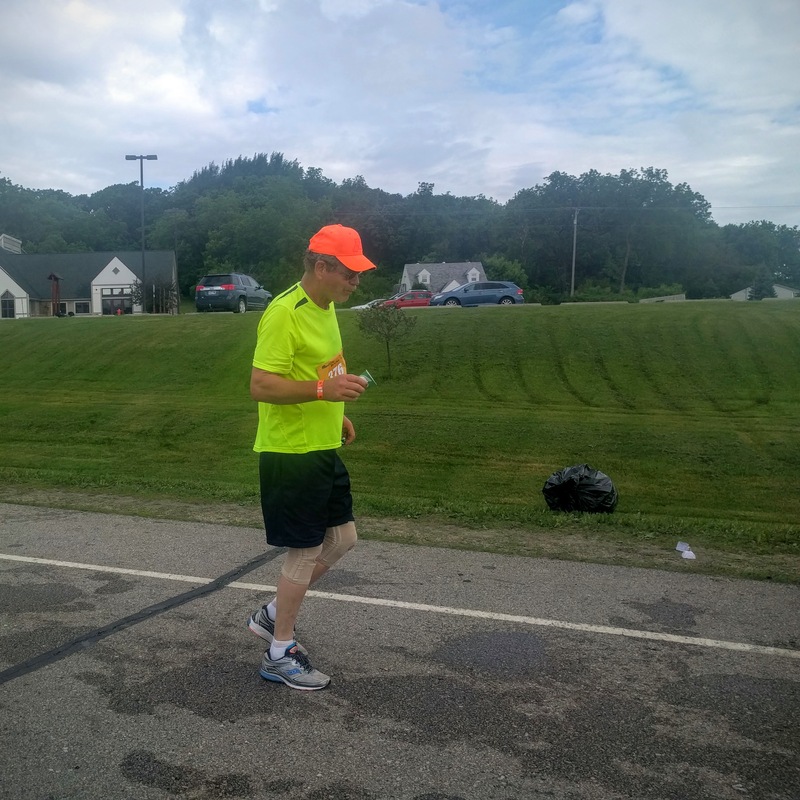 PICTURED HERE: Dad still has a smile at the third exchange zone (near the 20-mile marker)! The night before the big race, Krissy and Becky studied the course information and marked the exchange zones and other areas to support him. Thanks to the miracle of technology, my sisters and I — and a few other people — kept track of Dad and everyone else with a ton of text messages and occasional phone calls. PICTURED HERE: Tate and Cole cheer on Papa during the home stretch! I could not be more proud of my Dad for running in and completing his first ever marathon! I actually admire all the runners and had no problem cheering on complete strangers during wait times. Surprisingly, the majority of runners smiled and said “thanks.” And a ton of people complimented me on my rogue shirt: RUN NOW WINE LATER. 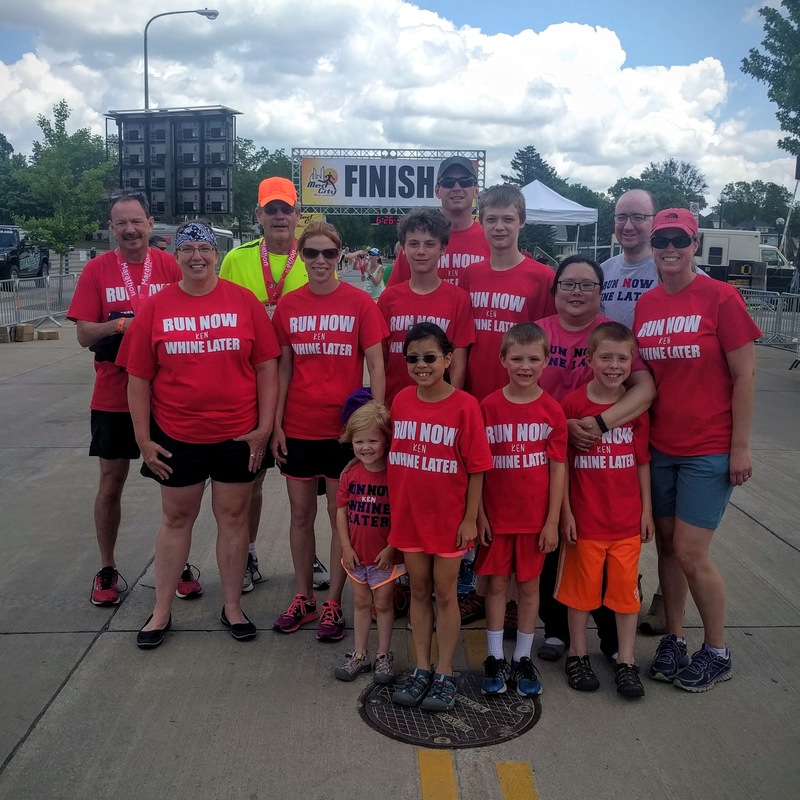 PICTURED HERE: Members of the RUN NOW KEN WHINE LATER (and two members of the RUN NOW WINE LATER) support crew at the finish line. Dad needed about a week to fully recover from the marathon, with the first couple of days probably being the hardest for him. As for another marathon, he says no — one marathon is enough.